I deleted an employee from the organization, I can’t see their screenshots and work efficiency anymore. If a user/employee is deleted from the organization, their data is hidden. The organization owner will have to send a new invite to their email address in order for the data to be seen again. To do this simply navigate to Members area on your sidebar, then click on Invite member. 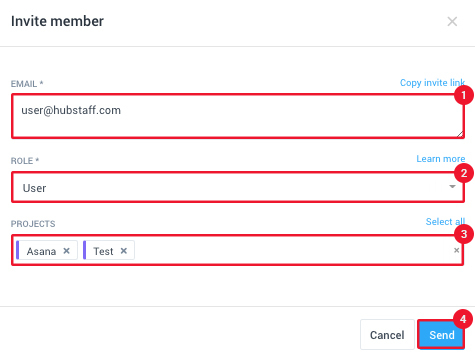 The Invite member dialog box should appear where you can enter the user’s email address, their role in the organization and which projects they are assigned to, then hit Save. This should add them back to the organization and their screenshots should show up again as well. 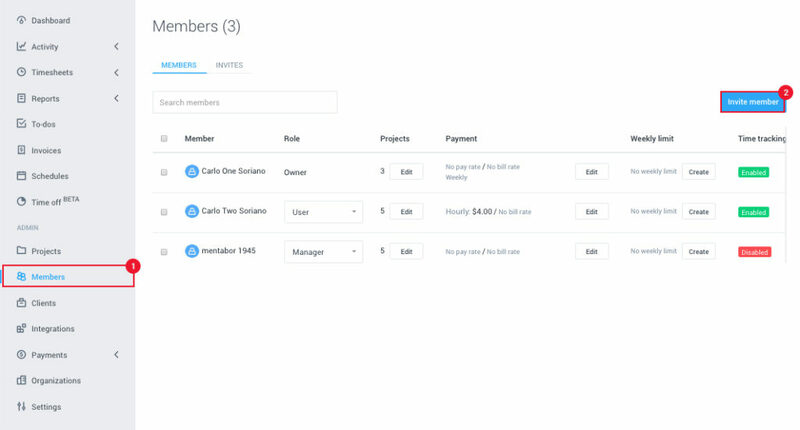 Note: Past payments and hourly reports are not affected if a user is removed from the organization or not.